This is a step-by-step hands-on approach to getting you up and running on Azure cloud. Get an account into “Microsoft Learn”, which provides FREE temporary cloud instances for hands-on learning. This one feature is getting many to invest their time on Azure versus AWS, Google, etc. Notice that the product categories are: .NET, Azure, Business Applications, Dynamics 365, Power Platfor, Visual Studio, and Windows. MY OPINION: I think job roles should be multi-select checkboxes. This segregation also adds to duplicating material. PROTIP: These learning roles are differen than the Administrator role permissions in Azure Active Directory. PROTIP: Avoid using an email that you use for your own banking, shopping, social media, etc. For continuity with a real cloud, you’ll need an email address that you can share and transfer to other people. That’s so at a company, you will need to give someone else the password so that if you’re ever go on vacation or get “run over a bus”, your organization can continue. In you’re in an enterprise company, get an email adddress from a corporate assets administrator. A different account is often created for each department of responsibility. PROTIP: In the name include the month and year in the account name (such as johndoe1901@hotmail.com) for 2019-01 (January). Many create several email accounts because each Azure subscription includes a $200 credit to spend on any service for the first 30 days, free access to the most popular Azure products for 12 months, and access to more than 25 products that are always free. When someone signs up for a Microsoft cloud service subscription such as Microsoft Azure, Microsoft Intune, or Office 365, a dedicated instance of Azure AD (Active Directory) is created for your organization. Azure AD is partitioned into separate tenants. A tenant is a dedicated, isolated instance of the Azure Active Directory service, owned and managed by an organization. PROTIP: Write it down for account recovery, such as in a 1Password entry. Also write down the date you created the account. You’ll need a phone number for multi-factor Authentication. PROTIP: Give Googgle Voice the cell number that you’ve been giving out to people. Then get a new phone number from your cell carrier (Verizon, ATT, etc.). In Google Voice have that new number ring when someone calls you at your original number. Give that new number only to Microsoft. This enables you to transfer that new number to someone else without making your friends wonder where you went. PROTIP: It’s best security that for 3FA you use someone else’s phone. But as my wife will tell you this can get annoying if you work while she’s sleeping with her phone next to her. You’ll need a credit card number. Many companies have a company (corporate) credit card. PROTIP: You don’t need to sign-up for and pay for a subscription with your credit card until you have 5 users. PROTIP: Use address with a zip code that’s not associated with your home address, and used only for banking. Multiple subscriptions can be created under a single Azure account (Dev, Test, Staging, Production, etc.). This is particularly useful for businesses because access control and billing occur at the subscription level, not the account level. Install the Microsoft Authenticator app on you smartphone and setup Two-factor authentication to approve access using your phone. Get a unique profile image and add picture. Microsoft has been transitioning from the “classic” (older) Azure Service Management (ASM) to the Azure Resource Manager (ARM). ARM includes parallelization when creating resources for faster deployment of complex, interdependent solutions. ARM also includes granular access control, and the ability to tag resources with metadata. Also, instead of 2 racks, ARM resources can span 3 racks of computers. NOTE: This can be done by the AZ CLI command “az account create” for those who have a MS-AZR-0017P (EnterpriseAgreement) or MS-AZR-0148P (EnterpriseAgreement devTest). Verfication by text message or call does not use land-line VOIP phone numbers, only cellular numbers. Input credit card (even though it’s free). If you are not logged in, type azure.com in your browser’s address. Click the portal link at the upper right corner. This redirects you a list of Microsoft accounts that have been used on your computer. Click the account name (email) you use for Azure. Click the “hamburger” icon at the upper-left corner for English descriptions of each icon on the left edge. Click it again. It’s a toggle. Click the “>” at the lower-left corner to manage which icons appear on the left edge. Click the star to control items that appear as icons on the left of the page. Drag an icon and drop it to reorder the icons. PROTIP: I drag the “Billing” icon to the top so I manage the money involved. Panes that appear on the right are called “blades”. Support requests can ALSO be reached another way. Click the question mark icon at the upper-right corner. 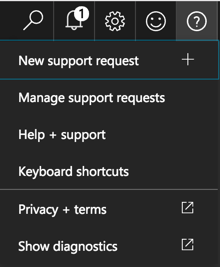 Notice Support options are also listed behind the smily face icon. Moreover, there is also a “Help + Support” box on the Dashboard. That’s now 3 places you can find it. Right-click on the “Help + Support” box on the Dashboard and select “unpin” becuase you now know you can reach it (in two places). Click Keyboard shortcuts in the menu. Click “Web + Mobile” to create a Web App on Azure is a common use case. Click the X to close a blade. The “mac-install-all.sh” script places a secrets.sh file in your machine’s home folder. Edit the file there (not in the repo directory). If in the secrets.sh file the TRYOUT string is edited to contain a known value for a module, that would be executed. The script executes a set of commands for you automatically so you get past the installation and configuration confusion, bringing your laptop to a point where you can work on changing the sample to the app you want. 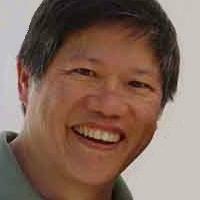 You can then re-run the script, and any changes to the underlying framework would be upgraded if needed. Since Azure provides a small amount of free time to all accounts each month under their Consumption Plan, you can do several runs each month without spending any cash. See their Pricing. az login -u "$AZ_USER" -p "$AZ_PASSWORD"
CAUTION: Logging in online imbues you with a full set of permissions that a login using the az command does not fully possess. Resource groups (RGs) are used for RBAC, Automated Deployments, and Billing/Monitoring. Put the Tenant ID value in the secrets.sh file so that future script runs can check whether that value has already been created. This Azure CLI (command az) has the subcommand ad (for Active Directory) to create Service Principals (sp’s). We capture the response (in JSON format) in the variable return. To obtain the first part of the response, “/user/wisdom/tmpf14zjme.pem”, which is used in subsequent commands. The third item is the Tenant ID. Both of these are GUIDs. BLAH: The name of the file created contains something like “tmpcgzysdch”, a random set of characters. So the script needs to figure out that file name. Thus we create the pem file and tell Azure. Put the contents in a file name containing the value in $AZ_APP_ID, in the $HOME folder so that it won’t have a chance to get pushed to GitHub. BLAH: The APP_ID and username are the same. Whatever. QUESTION: limits to total concurrent executions across all functions within a given region to 100? Subscriptions include “Azure AD Premium P2” and “Enterprise Mobility + Security (EMS) E5”. 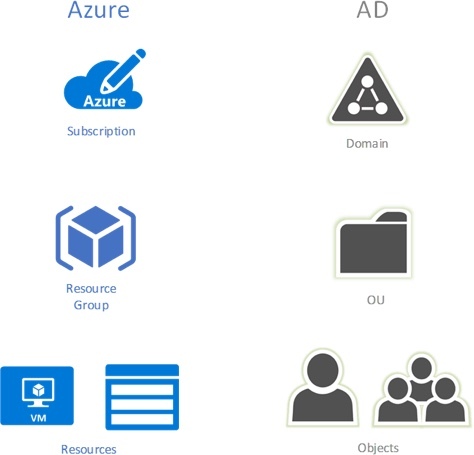 An additional paid subscription is Azure AD Privileged Identity Management (PIM) which minimizes the number of people who have access to secure information, which mitigates the risk of excessive, unnecessary, or misused access rights and provides oversight of role assignments, self-service, and just-in-time role activation and Azure AD and Azure resource access reviews. Azure has “Web Jobs” for Azure Functions background jobs. Microsoft Azure: The Big Picture 1h 50m Mar 10, 2016 by Matt Milner makes use of VS 2010, which is rather obsolete now. Install in VSCode Azure Resource Manager Tools for Template language support for Azure Resource Manager JSON files. Channel 9 for all things Microsoft. Azure Cloud Onramp (Consoles) was published on May 10, 2016 .